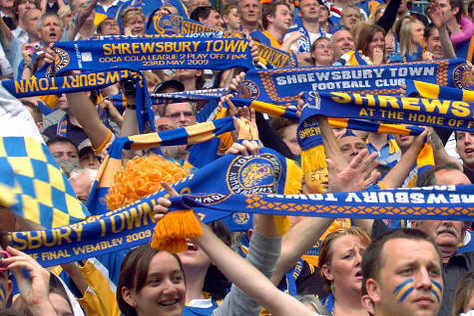 Shrewsbury Town were formed in 1886, following the demise of previous football club Shropshire Wanderers and later indirectly Castle Blues. The Castle Blues were otherwise known as a rough team which later lead to their demise after several games were marred with violence. After playing Friendlies and Cup Competitions for the first few seasons as Shrewsbury Town, Shrewsbury were founding members of the Shropshire & District League in 1890-91, then later admitted to the Birmingham & District League in 1895-96. 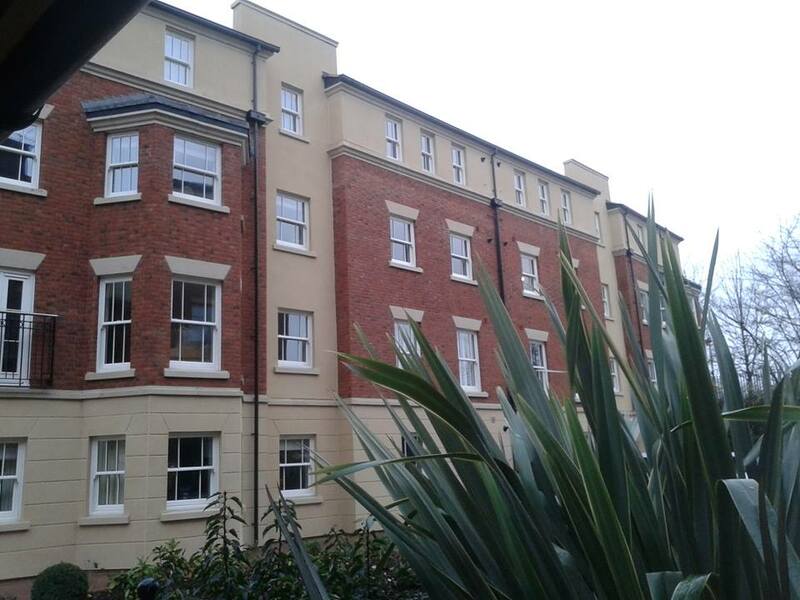 In the years of being in the Birmingham & District League, the club mostly finished mid-table with a few seasons of challenging up the top of the table until they became Champions in the 1922-23 season. 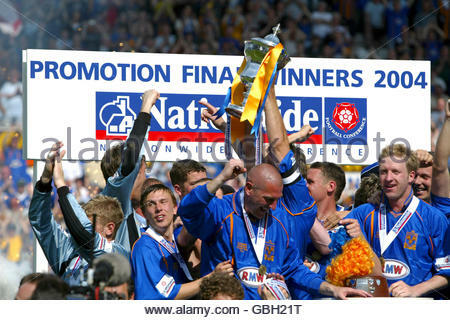 The biggest record they do have of winning a trophy is the Shropshire Senior Cup, winning the trophy 66 times. Shrewsbury's furthest FA Cup run is the Quarter Finals, reaching there twice in 1979 and 1982, losing 3-1 in a replay against Wolverhampton Wanderers in 79 and losing 5-2 to Leicester City in 82. 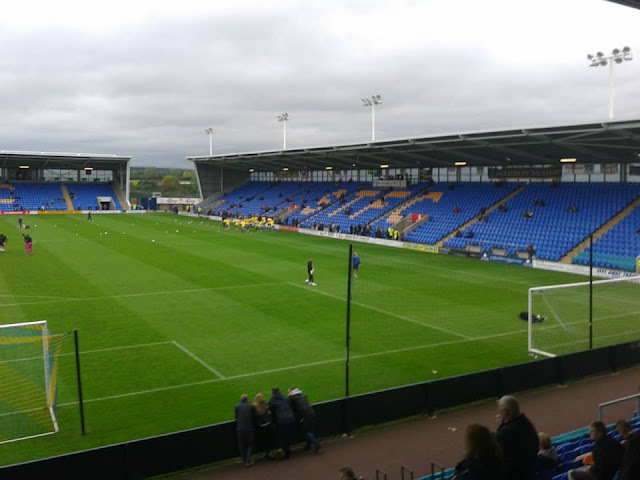 In total including their current ground, Greenhous Meadow, Shrewsbury have played at 5 grounds. 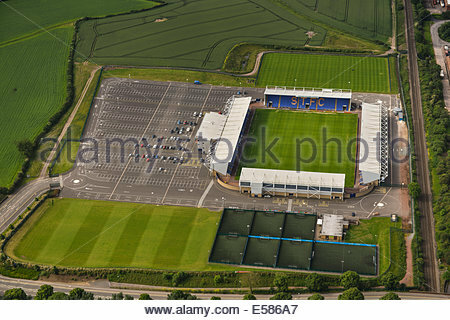 Racecourse Ground, Monkmoor in 1886-89, Ambler's Field, Copthorne in 1889-93, Sutton Lane, Sutton Farm in 1893-95, Barrack's Ground, Copthorne in 1895-1910, Gay Meadow from 1910-2007 and from 2007 onwards, Greenhous Meadow. 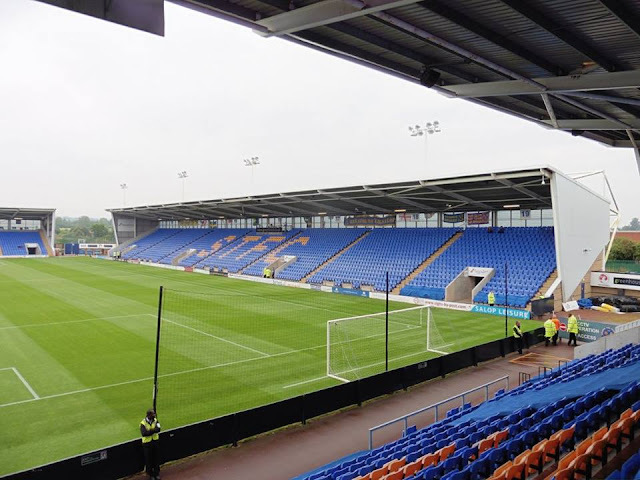 In the 2002-03 season, Shrewsbury enjoyed an FA Cup run by beating Premier League opposition Everton at Gay Meadow 2-0, goals from Nigel Jemson getting the goals. 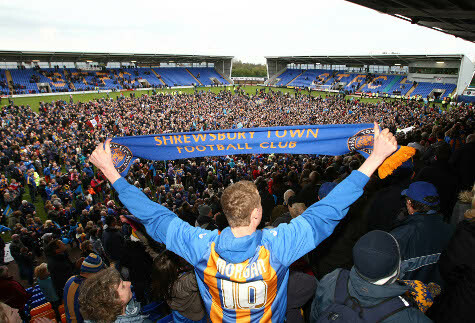 Shrewsbury got knocked out in the 4th round that season by Chelsea losing at home to them 4-0. 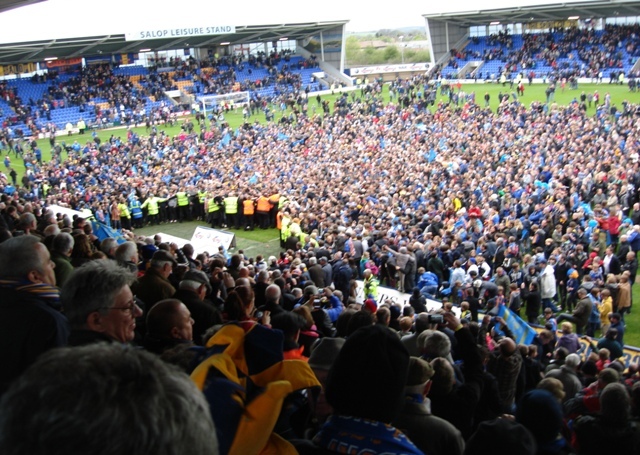 Shrewsbury have reached the League Two Play Off Final twice in recent years and become runners-up on both occasions, losing in 2007 against Bristol Rovers and in 2009 losing in the last minute against my team Gillingham. Shrewsbury's rivals are traditionally Walsall and Wolverhampton Wanderers but in most recent years, a rivalry with near neighbours Hereford was ranked 19th in the Daily Telegraph's top 20 fiercest rivalries. My 1st visit to the New Meadow came in January 2012. 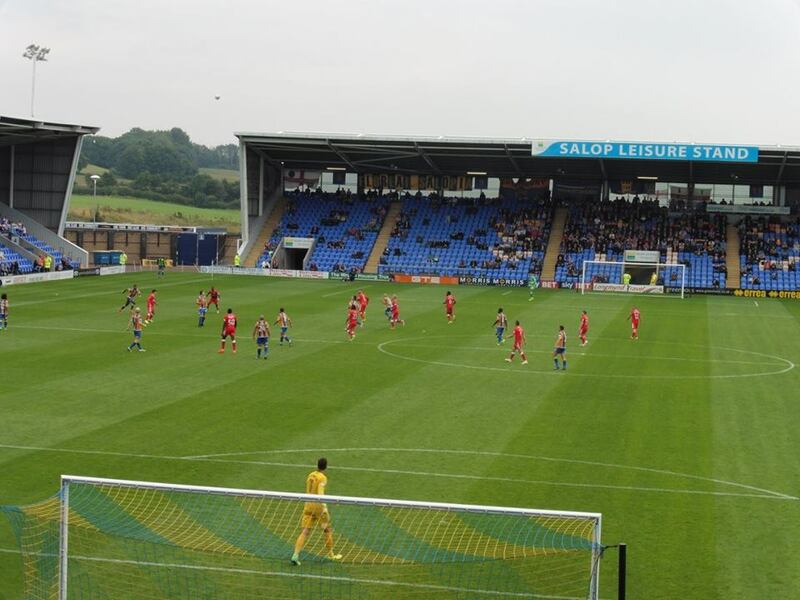 My 1st 2 visits probably weren't the best as they were both 2-0 defeats for Gillingham. 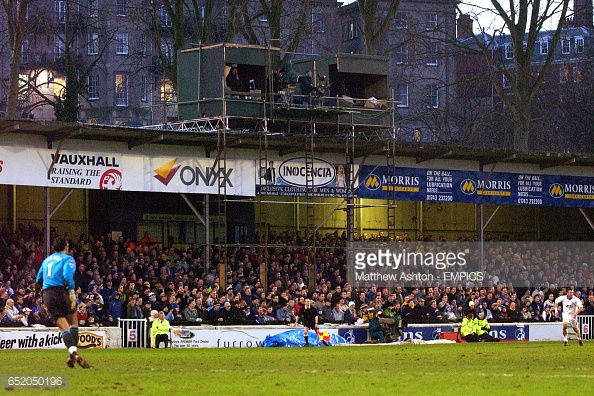 My 3rd visit was a great point away from home and 1st time I hadn't seen Gillingham lose there, I remember that day pretty well as I got the train to the ground then the coach back as I wanted to go and have a look at their old ground Gay Meadow. 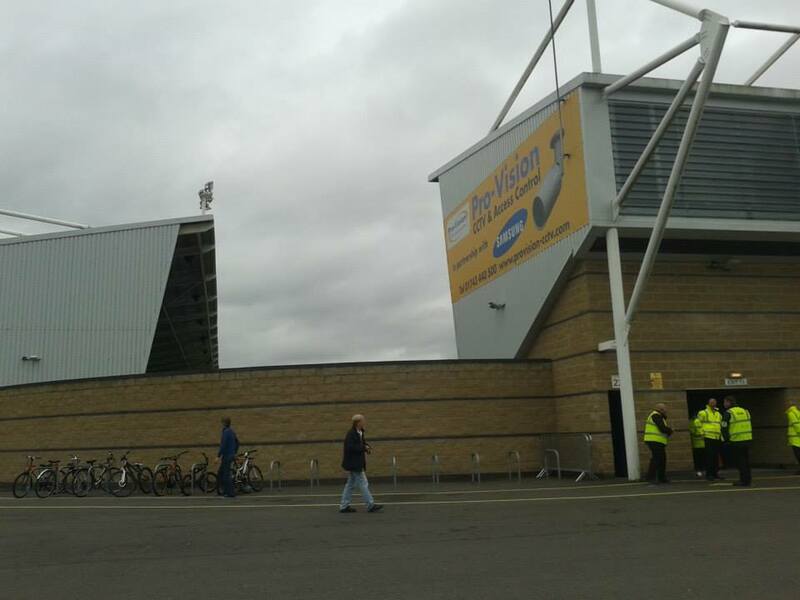 (More pics here) My 4th visit however was a pretty special day, coming back from 2-0 down to win 3-2 in the last minute thanks to a tidy finish from Max Ehmer. 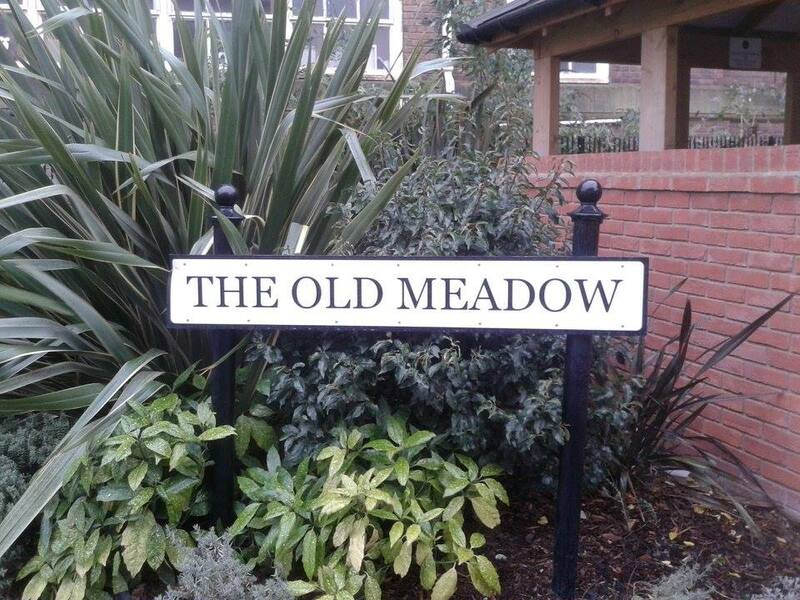 2 years later in 2018 and I made my 5th visit to now what is called The Montgomery Waters Meadow, although the performance wasn't the best, it's always nice to pick up a point away from home. Wow to say the least! Surely has been a crazy week! Anyway, my 4th visit to Shrewsbury came about when I was deciding whether to train it or coach it to the game as I previous went by train last season and it's a bit of a pain to get to by train. 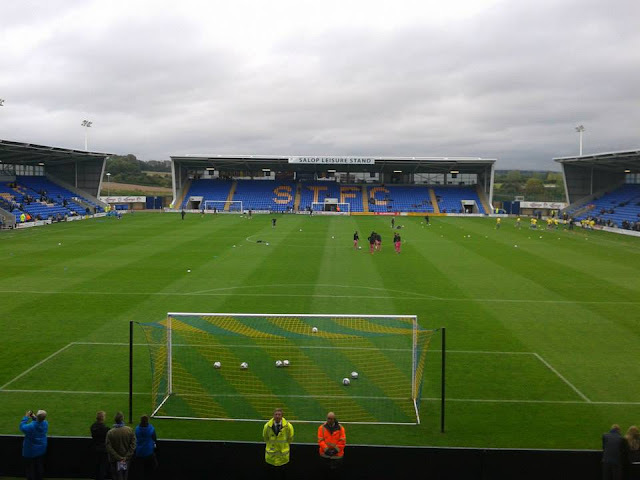 After deciding to train it to Scunthorpe the previous weekend, I decided to coach it for Shrewsbury mainly due to it being an absolute pain to get to by train as the train station to the ground is a good 40 minutes walk at least. So anyway, I got up just before 6am and got a lift to Maidstone due to engineering works on the trainline to Strood, plus my dad's a postman so he had to be at work for half 6 anyway. Anyway, I got on the bus at half 6 and decided to get a bus half an hour earlier as I thought the earlier I can get into Gillingham, easier it will be. So I eventually got to Gillingham by bus and train just after half 7, and grabbed a Maccy D's breakfast and killed a bit of time. 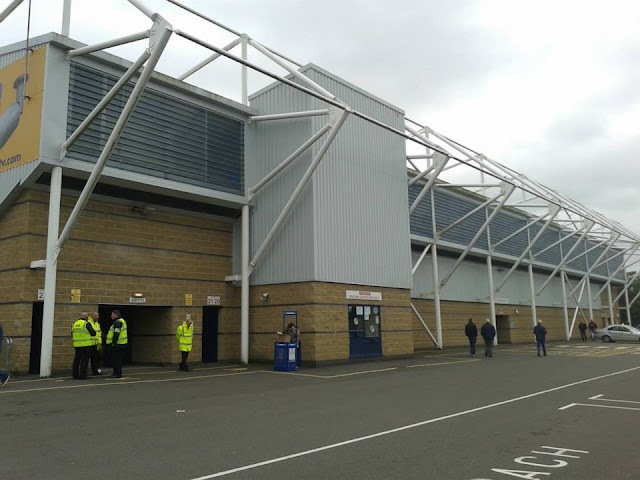 I left Gillingham at 9 on the coach, after stopping off at 12ish at Norton Canes Services for about half an hour, got to the ground around 1.40pm. Onto the game itself, it was quite a weird game. 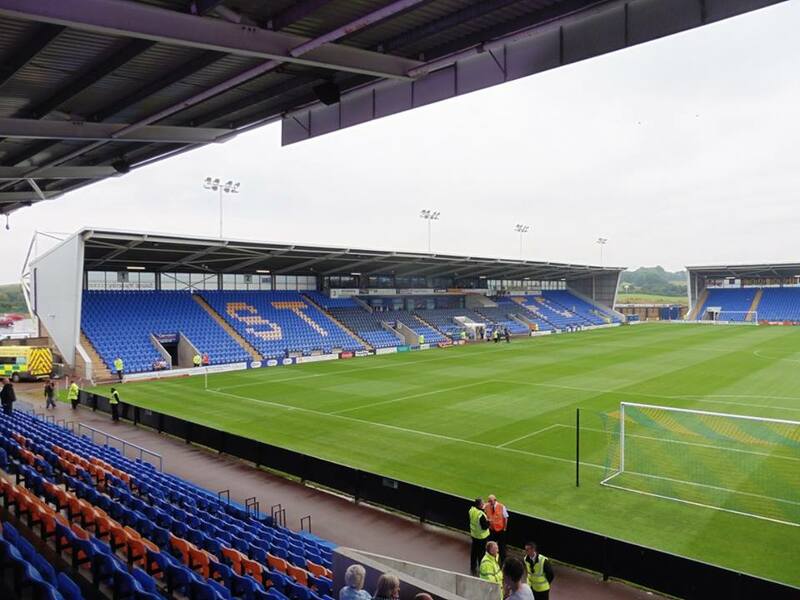 1st half we didn't really turn up, Shrewsbury took their 1st goal well from Louis Dodds, and then scored their 2nd goal 13 minutes later with poor defending in the box to make it 2-0. 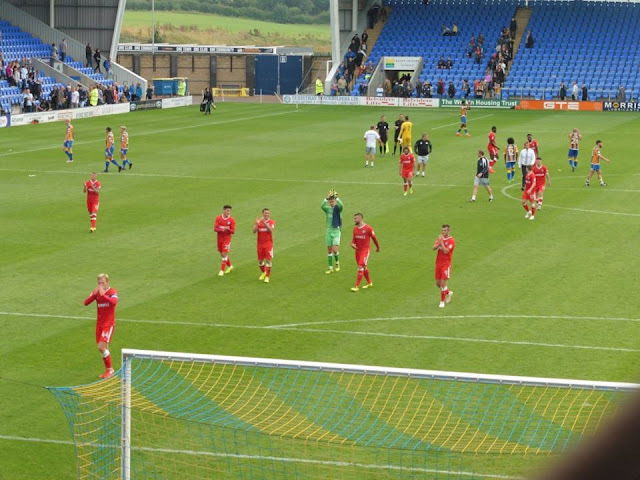 After that, our current loan defender Josh Pask from West Ham picked up an injury and came off for Bradley Dack, who completely changed the game. 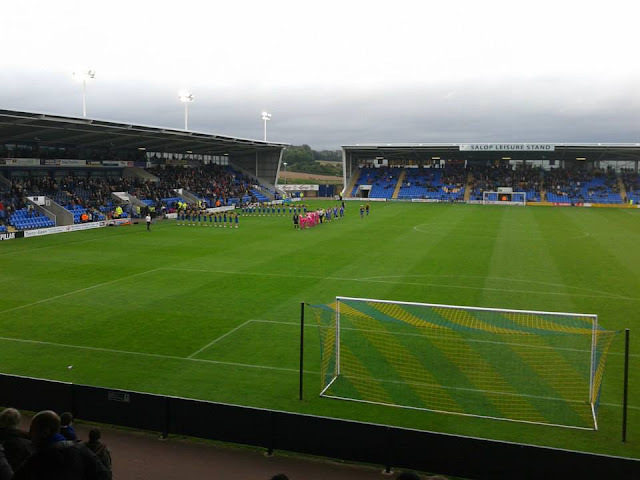 So half time, and we head into the break 2-0 down at Shrewsbury, at the time thinking another rubbish away day at Shrewsbury, as I haven't seen us win there at all since I've been supporting Gills. 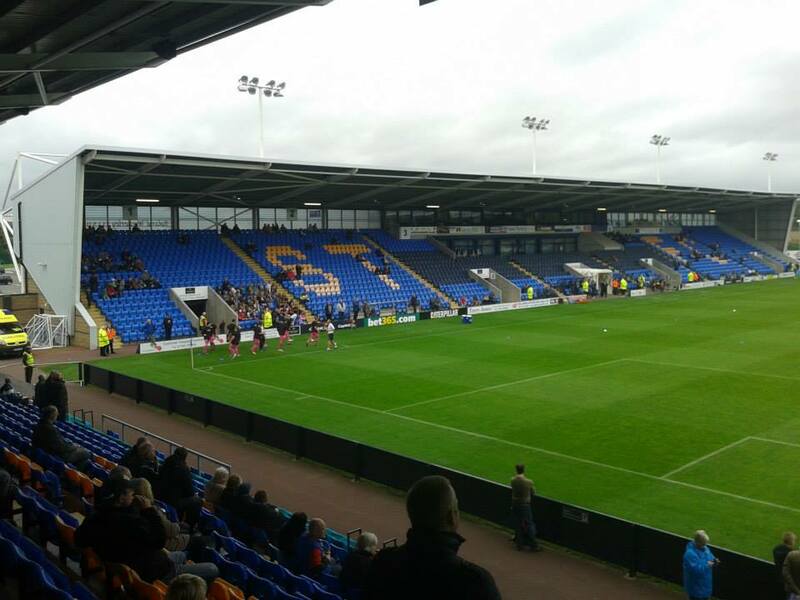 Anyway 2nd half commenced and after pressing Shrewsbury, we eventually pulled 1 back from Jay Emmanuel-Thomas with a great header. But then it erupted, Gillingham got the equaliser from a great run by JET, and from 30 yards out, Emmanuel-Thomas smashes the ball into the roof of the net to make it 2-2. It even erupted even more. Our winner came from a corner, a scramble in the box and Max Ehmer putting it in the net with literally the last kick of the game. Our first win in Shrewsbury and at the new ground as well since 1996. A great day and a great week for the club. Still buzzing for Spurs away in the Cup. Up the Gills! 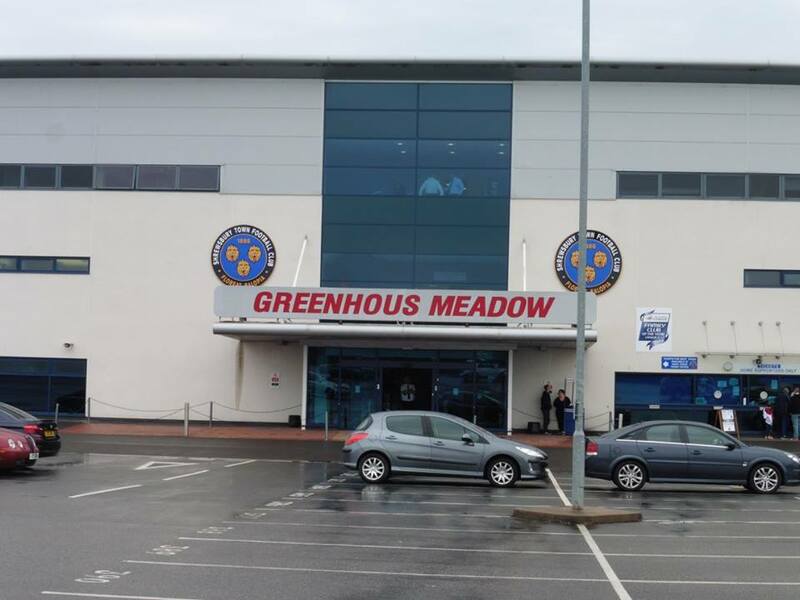 My visit to the old Gay Meadow ground, the former home of Shrewsbury Town.